Chelsea FC Foundation works closely with schools in Wandsworth and the School Sport Partnership to provide competitive football opportunities for school age children. 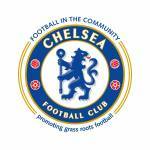 Chelsea provide coaching for the Girl's Football Development Centre at Southfields Community College. Girl's from all Wandsworth schools are welcome to attend the development centre training every Monday, 4-5pm (11-13 years) and 5-6pm (14-15 years). Chelsea FC also run the Premier League Schools Competition in Wandsworth each year. Tournament details can be found below on the poster. Last year, Wandsworth saw great success with St Cecilia's representing Secondary Schools (girls teams only) and Honeywell representing the Primary Schools.